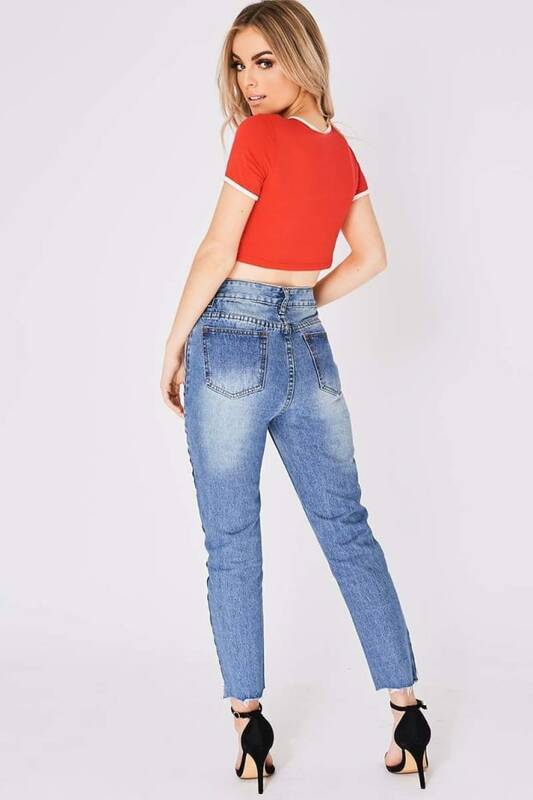 Refresh your denim drawer and get these mid wash jeans in there RN! 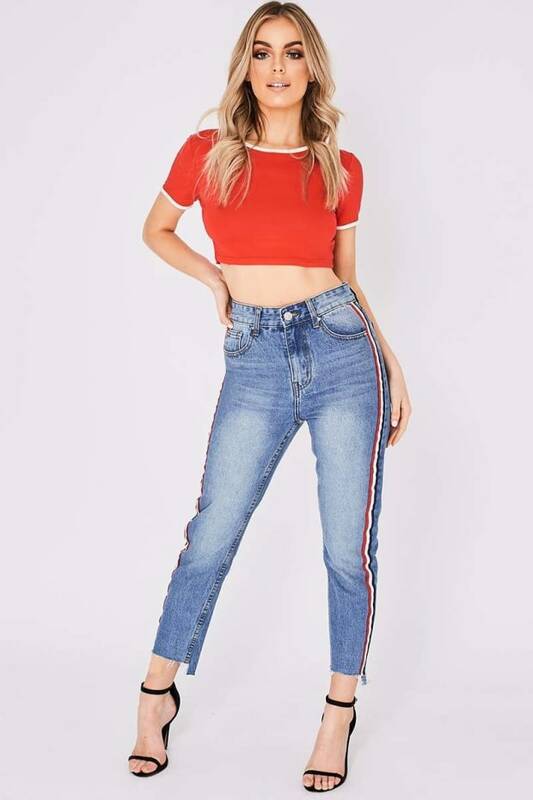 In our favourite slim fit design featuring sports stripe detail, distressed hem and high waisted fit, these jeans are an every day must have! Style with a striped top and heels for a stylish day look!